Dr. Abdul El-Sayed should stay on the August primary ballot for governor, state officials say. Shri Thanedar, a fellow Democrat, had asked the state to determine if El-Sayed was eligible to vote. He cast ballots in New York while at school there, muddying his residency status in Michigan. Michigan elections officials on Wednesday tossed out nearly a dozen challenges to Dr. Abdul El-Sayed’s eligibility to run for governor, arguing the Democrat has been a registered Michigan voter for 15 straight years. Even so, speculation about El-Sayed’s eligibility, first raised in January in Bridge, may not be yet over. A lawsuit that El-Sayed brought asking for a declaratory judgment of his eligibility as a candidate is pending in the Michigan Court of Claims. Shri Thanedar, an Ann Arbor businessman who is competing against the former Detroit health director in the August Democratic primary, filed a challenge, as did 10 others, out of concern that El-Sayed’s stint living and working in New York made him ineligible to run for governor this year. El-Sayed's campaign issued a statement on Wednesday saying the ruling affirmed his long-held stance that he is "100 percent" eligible to be on the ballot. 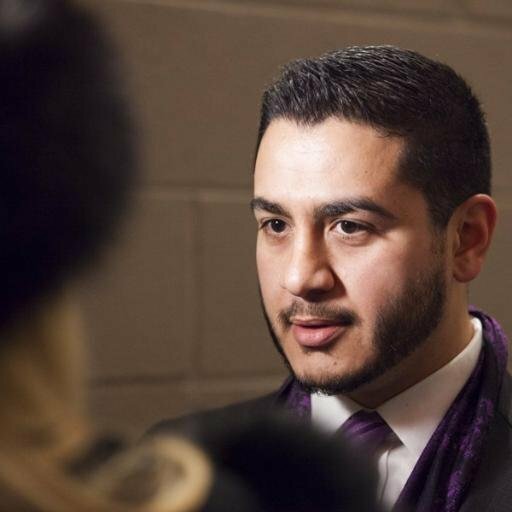 "While we anticipate that this definitive statement of fact by the Bureau of Elections won’t stop political opponents from persisting in their baseless smear campaign, Abdul’s supporters and everyday voters can be fully confident in their support of Abdul," El-Sayed campaign spokesman Adam Joseph wrote in a statement. Thanedar's campaign released a statement Thursday saying “we are thankful the Secretary of State's office reviewed this matter and look forward to an open and vigorous debate on how we can move our state forward and help working families rise up." The elections bureau said in letters to the challengers that staff reviewed El-Sayed’s voter registration record, which is standard practice for all candidates for state office. El-Sayed has been a registered Michigan voter since 2003, according to the state. The Michigan constitution requires that candidates for governor be a “registered elector in this state” for four years before the general election in which they’re running. El-Sayed was still a registered voter in New York as recently as 2015 and had a driver license in that state while he worked at Columbia University in New York City. He updated his voting address in Michigan in 2016, Michigan records show. State records have shown that El-Sayed’s registration was on a “cancellation countdown” after he changed his driver license out of state. But Michigan elections officials said that his voter registration could not be canceled until two federal general elections went by without him casting a ballot in Michigan, or unless the state received written notice that he changed his address to vote. Secretary of State Ruth Johnson has asked the Court of Claims to dismiss El-Sayed’s lawsuit on the grounds that it’s a premature request. In a brief filed Wednesday, attorneys for the state noted that El-Sayed’s eligibility remains speculative — though to a lesser degree — because state canvassers have not yet certified that he submitted enough signatures from registered state voters to qualify for the ballot. State elections spokesman Fred Woodhams said via email Wednesday that the department has not changed its position on the case. The new brief notes the state’s determination that El-Sayed’s Michigan voter registration was never canceled. The Bureau of Elections is still reviewing the validity of signatures filed by candidates for governor and other offices to make the Aug. 7 primary ballot, Woodhams said. The Board of State Canvassers will need to meet in order to certify the candidates who will appear on the ballot, which could happen this month. On Wednesday, though, El-Sayed took to Facebook to celebrate the eligibility ruling with an ice cream sundae. I guess if we elected a black guy President with "Hussein" as a middle name, we aren't so racist as to reject an otherwise qualified candidate. This voter registration flack is elevating the media attention to his campaign, which may not be smart strategy for his opponents.